Electric vehicles: A good idea whose time is still a long way off? It may be a long, loooooong time before most Americans are driving electric cars. Especially if gas prices remain around $2 a gallon. And that has very little to do with whether it’s a good idea. It has a lot more to do with design time, model turnover and fleet turnover, according to FleetCarma, a fleet-management company. In fact, if a law were passed today eliminating new internal-combustion cars, it would take about 18 years, until 2034, for half the vehicles on the road to comply with the law, FleetCarma estimates. That comprises 3.5 years of design/manufacturing time, five to six years for manufacturers to turn over their model lineups and the rest associated with the speed at which Americans replace 50 percent of their 250 million gasoline-powered vehicles – around 125 million – with EVs. “Once all new vehicles are in compliance with a given law, it will still take a long time for them to replace older vehicles already on the road,” writes Stephen Edelstein at Green Car Reports. And you can push that date further into the future the longer it takes to pass such legislation. 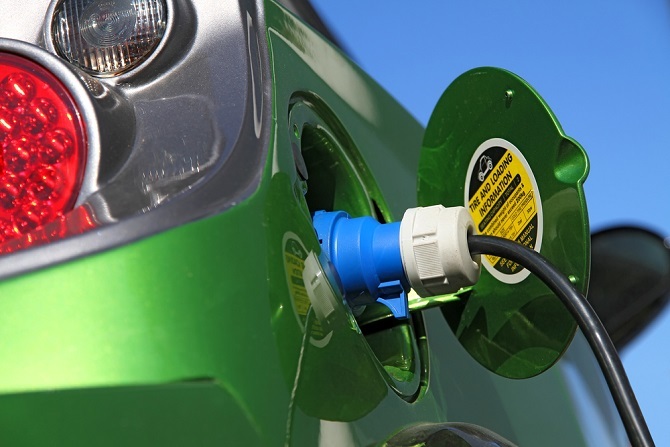 Meanwhile, with fleet turnover a major part of the equation, the pace at which consumers can be convinced of the benefits of going electric becomes an important factor in vehicle adoption. Right now, that’s happening at a snail’s pace, based on data from Wards Auto, with only about 3.5 percent of some 17 million new passenger vehicles annually, or about 600,000, being electrics. “Needless to say, EVs are a much harder sell today than they were back when gas prices were up near four bucks a gallon,” wrote contributor Jim Gorzelany recently at Forbes Autos in an article Ten Reasons to Buy an Electric Car when Gas Is Two Bucks a Gallon. It’s almost enough to imagine EV advocates longing for the bad old days.